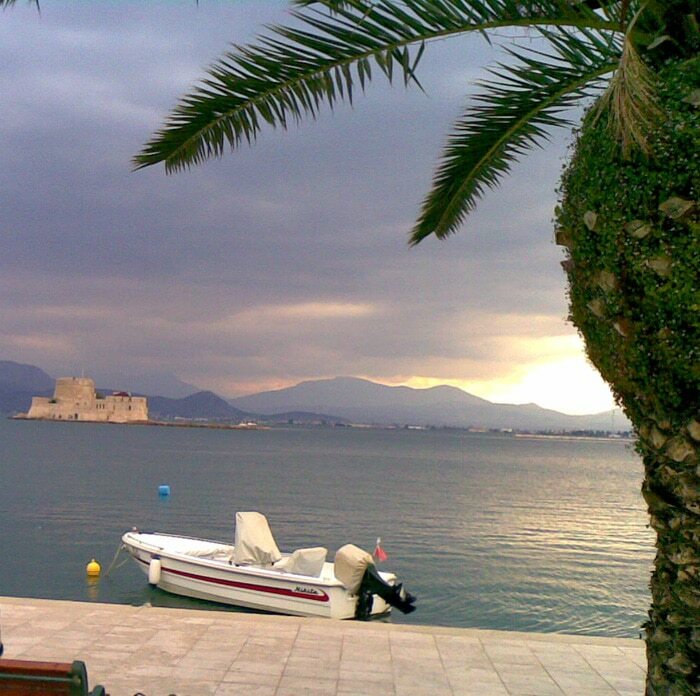 Two years ago I traveled with my girlfriend at Nafplio, a small city about two hours driving from Athens. 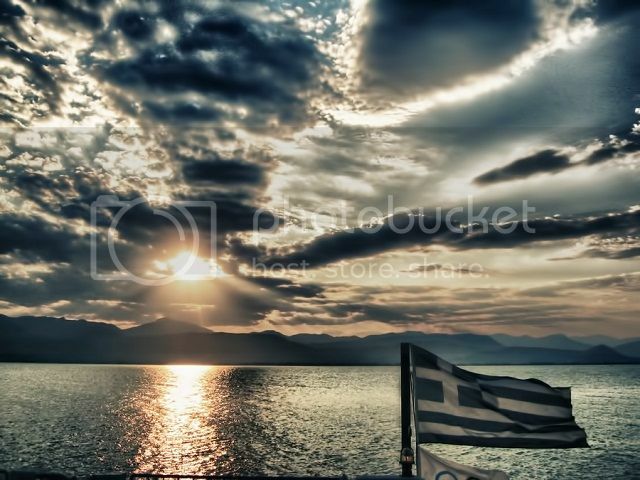 This is one of my favorite places and as far as I am concerned there is no one in Greece that has not been there since there are a lot of cheap flights for the place. 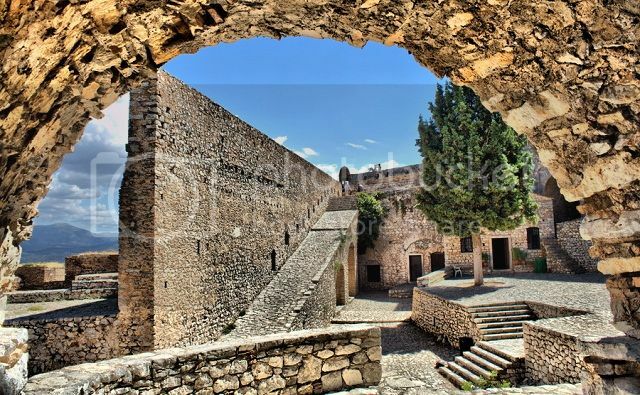 The first thing you cannot miss when you arrive at the city is the big castle upon a hill on your left called Palamidi. Don’t be discouraged by the 999 stairs when you reach the castle, there is no way you regret it. You can see everything from up there. The whole city lies underneath you. 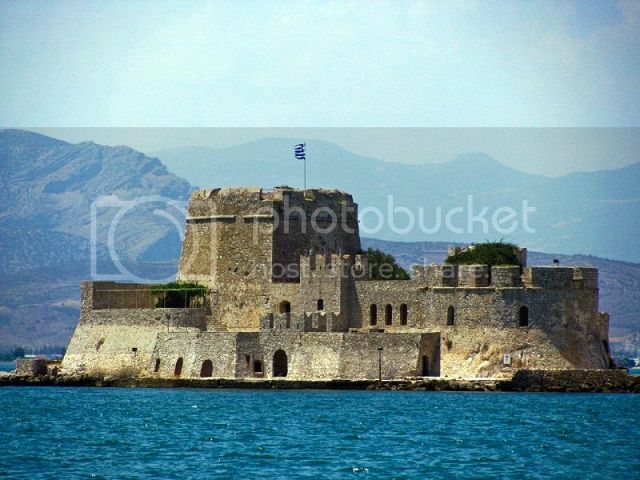 The city of Nafplio, Greece. After all those stairs we were hungry and decided to visit the old city. 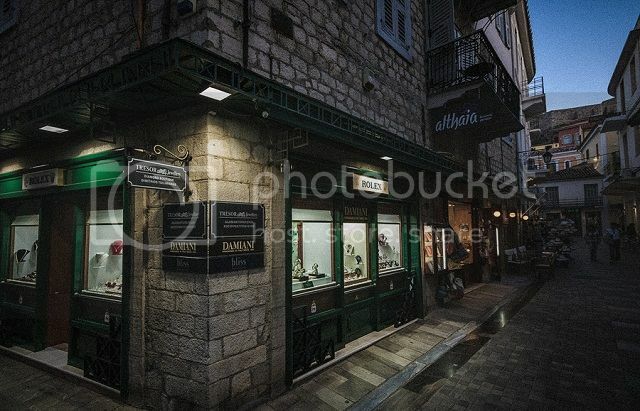 We sat in a traditional restaurant and ate a lot of suvlaki and tzatziki (you know). In the evening we took a walk at the old harbor watching the sunset while in front of the harbor there is a really small island and a castle called Burgi. I don’t really have words to describe this. While walking by the sea you can see a lot of café’s where you can sit and have a coffee or an ice cream. Later, we had dinner at a real romantic restaurant inside the old town. The place was filled with candles and roses and the food was great (cheaper than I expected). When we finished the dinner, we went for a walk down the harbor. It was just me, my girlfriend and the moon following (just like an American movie). Suddenly we saw a small café – bar. I couldn’t believe my eyes since that place was like it was floating on the sea. The bar and the sofas where so close that I could touch it. Believe me, there is nothing better than sitting there with your girlfriend, watching the moon and enjoying a glass of wine. 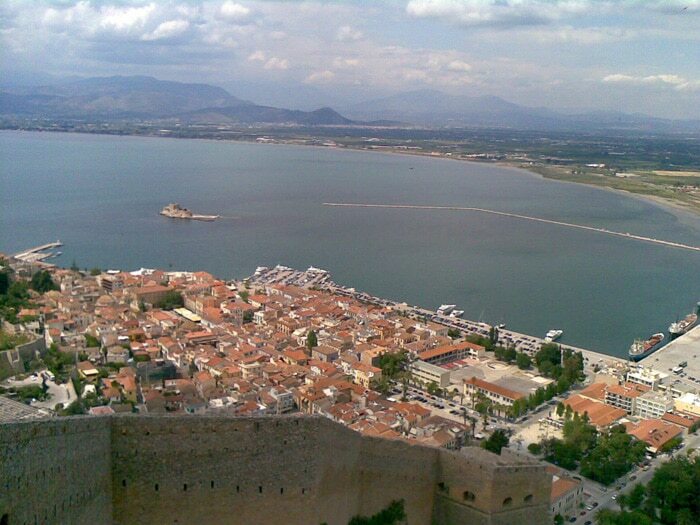 It’s been two years since the last time in Nafplio but I will definitely go this year, at least for a weekend. 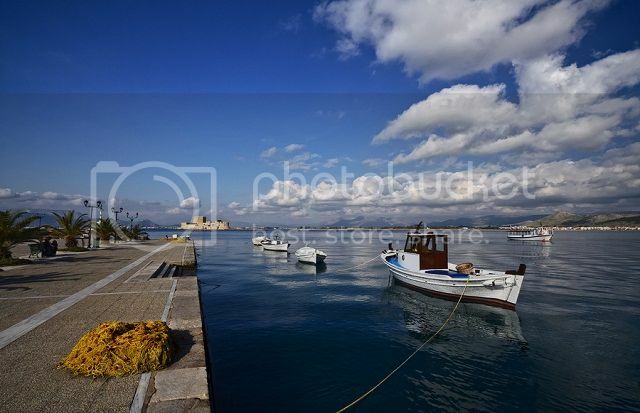 Nafplio photos: Manos F, Elina Popova, Stelios Kritikakis, Peter babilotte.